Zaha started to believe in himself again and it began to show in his performances for the club. What does this all have to do with you? “What happens when you fill a balloon with hot air? It rises! 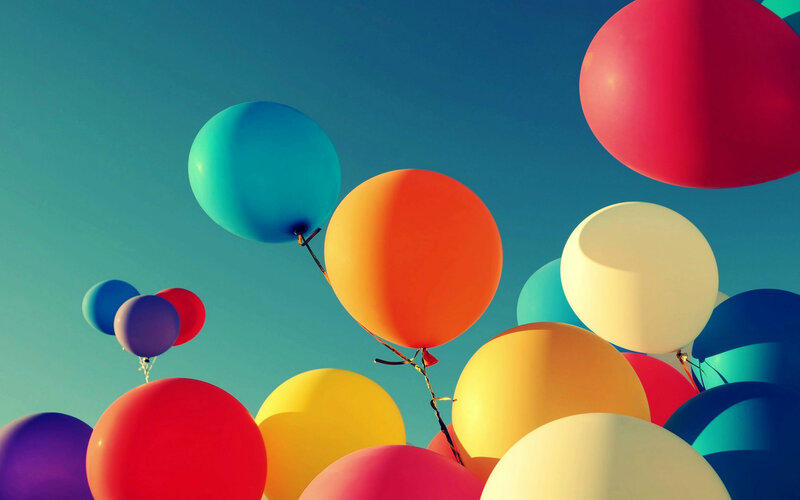 People are no different…They are just like balloons. When we are under pressure, up against the odds or just in a sticky patch it can be really easy to become self critical, for doubt to set in and for confidence to waiver. In these difficult times we often need reminding of just how good we are so that we can fill ourselves up and rise just like a balloon. Here are 5 simple strategies you can adopt to help you remember just how good you really are and stop you heading into that downward spiral. #1 Read through positive reviews or testimonials. Good feedback isn’t just for marketing purposes or to tell other people about your achievements, it’s also for a powerful tool for you. Reading through your old school reports, testimonials, positive customer reviews can help you reconnect with your accomplishments and great work that you have done. #2 Stop Comparing Yourself To Others. From an early age we quickly conditioned in to comparing our achievements to those around us. Whether thats through grades at school, through competitions we place in or later through the things we own. Whilst there is nothing wrong with a little healthy competition, too much comparison of where you are compared to others can be destructive. #3 Give Yourself A Good Talking To Each morning. You don’t need to Tony Robbins to inspire you – you can be your most powerful motivational speaker! Write a short paragraph of who you are, what you are good at or the value you bring to others. Then each morning look at yourself in a mirror and with total conviction read it out load to yourself at least 5 times. #4 Leave Yourself Love Notes. Take a pack of post it notes and each one put a key achievement, positive attribute or a compliment that a customer or colleague has made about you. Stick them around the house behind cupboard doors, on the fridge or bathroom mirrors as little reminders of your greatness. As you move forward start to record all your success no matter how insignificant you think that maybe and make a note of the key qualities which help you to do that. For example, completed a brand new business plan today. I was really focused and undistracted.